This forced the Metropolitan Commissioners in Lunacy to investigate the condition that Welsh speaking lunatics were housed under, the report to the government in 1844 revealed the appalling conditions that were rife in the Asylum system. 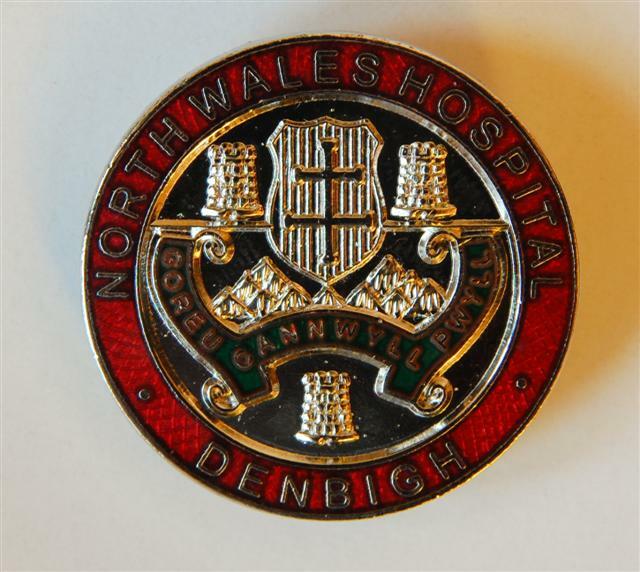 A group of philanthropists from Denbigh had already foreseen the outcome of the report and in October 1842 held a meeting that called attention to the need of a Hospital for the Insane in Central or North Wales. In this meeting, an anonymous donor handed over 20 acres of land to the committee, this donor later turned out to be Joseph Ablett of Llanber Hall. However, the project faced a number of difficulties, firstly the law did not support more than one county cooperating and building an asylum, and the other counties of Northern Wales did not want to help finance the project. Through public subscriptions, the committee managed to raise £4,600, including donation from Queen Victoria and other Royals. Despite these problems, building of the Hospital started in 1844. Plans were drawn up by Mr Fulljames of Gloucester under the guidance of his friend, Dr S. Hitch. 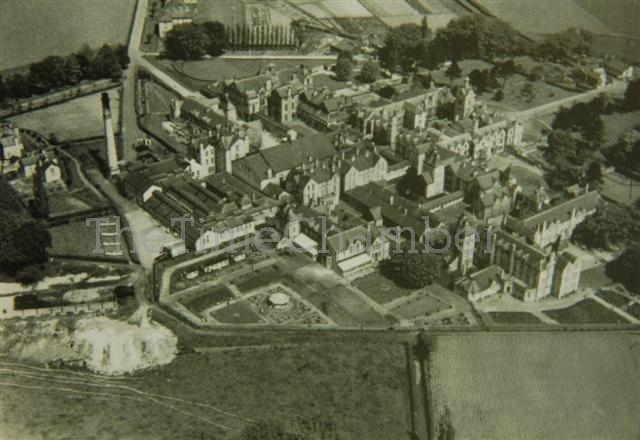 The Hospital was constructed from limestone bricks produced by the Graig Quarry near Denbigh and was regarded as the finest structure of its type. The building work was completed four years later and opened on the 14th of November, 1848 and was able to house up to 200 patients. The clock tower was donated by a Mrs. Ablett in memory of her husband who donated the land for the Asylum. The hospital was under ever increasing pressure to support its patients and relieve over-crowding, this led to a number of extensions occurring through out its life; the most major extension work happened in 1899. This allowed the Hospital to house 1500 patients at its peak and offer a wide range of treatments. In 1995 the hospital finally closed its door and has remained empty ever since, causing the buildings to degrade to a very poor state, even though they are Grade II listed. In 2004 Prince Charles visited the site and placed all the buildings under the protection of the Phoenix Trust to ensure that the building was safe. 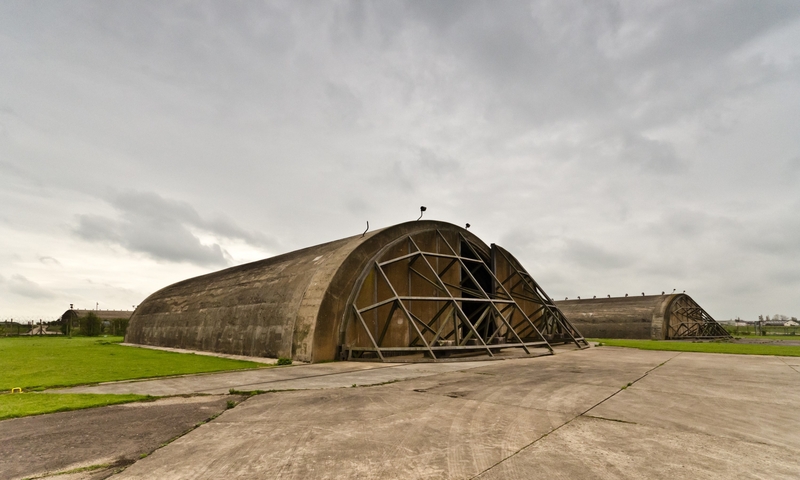 The future of the site is still unclear, it has recently been offered as a good site to build a prison on, but this looks to be a fleeting idea. Also, the current owners are being ordered to carry out major structural works on the buildings to secure them, if they do not complete these works by the close of 2009 they will be forced to pay 4.8 million to have them done. 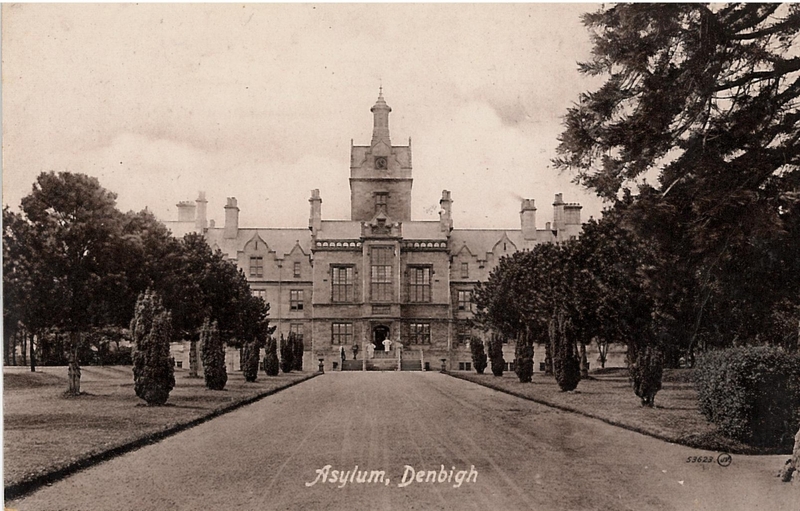 Timeline of the Denbigh Asylum, from conception to close.